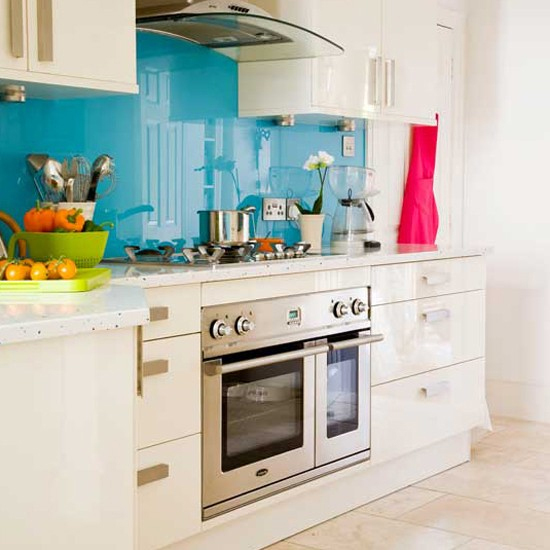 Easy Glass Splashbacks | Feeling Blue - in a good way! It’s that time of year when I start to feel all warm and summery – ignoring the rain that is plummeting down on the roof this morning – and I start daydreaming of lazy days on long sandy beaches with clear blue skies. Nothing will ever beat the free feeling of driving over a hill and glimpsing the sparkling sea stretching out for miles in front of you. Feeling inspired by looking at our blue colours that include the names Pool, Splash and Ocean I felt it was an appropriate time to write my first blog, bear with me! 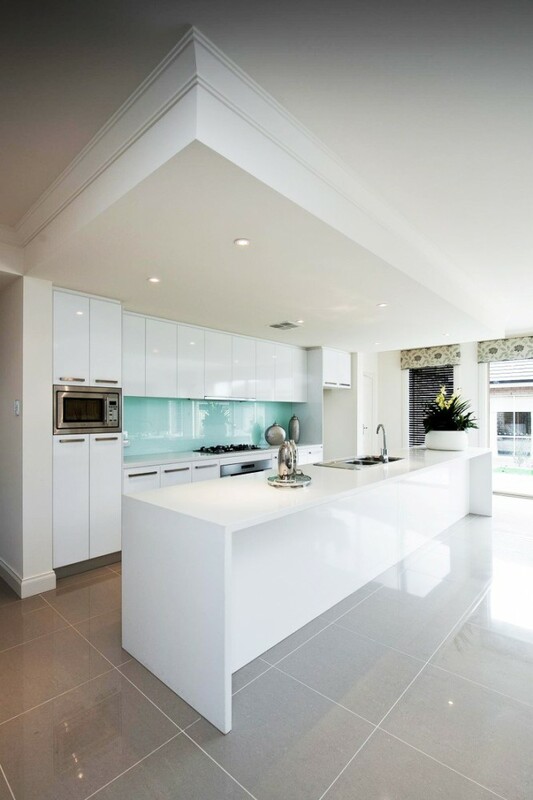 Since starting with Easy Glass Splashbacks I have struggled to pick my favourite colour; I don’t think I ever will as it changes most days, every time I send out a sample, or see another picture I always love it, but the blue colours that include the names Pool, Splash and Ocean seem to stand for me. 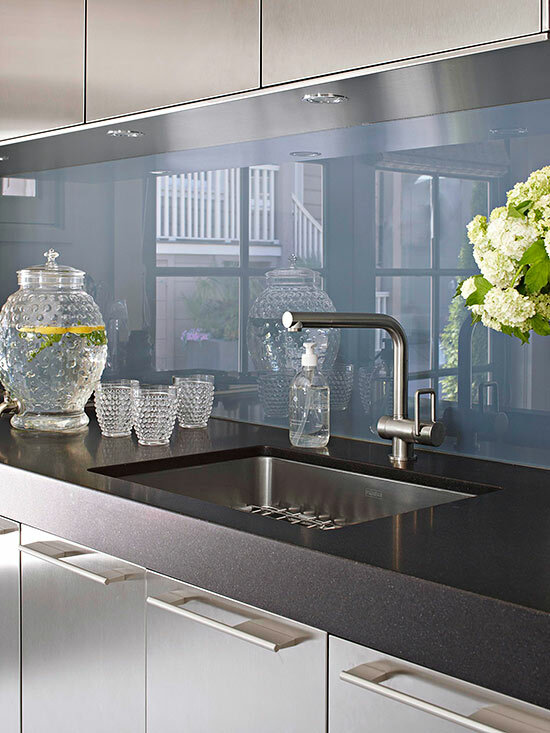 Take this navy blue glass splashback as an example, it makes the kitchen a perfect blend of both modern and timeless, and makes me think of being a kid again sailing around the ocean on summer holidays. This blue splashback (left) is great at adding a vibrant shot of colour against an otherwise rather white kitchen creating a great feature wall. 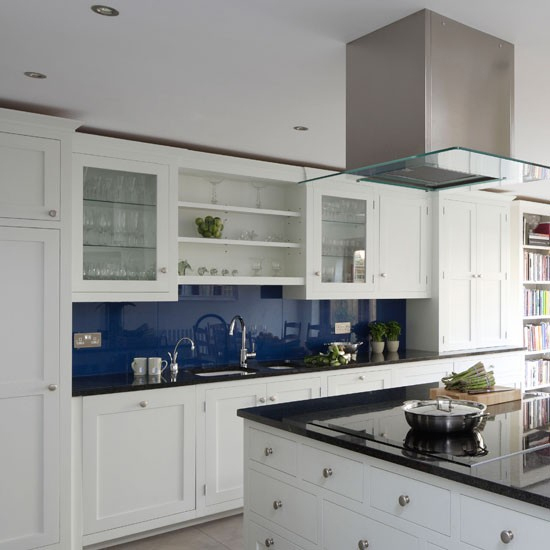 Although the blue shades (below) always work well against white cupboards, and with most colours of worktop, this picture shows a contemporary grey-blue shade working beautifully alongside the dark granite worktops and metallic cupboards. 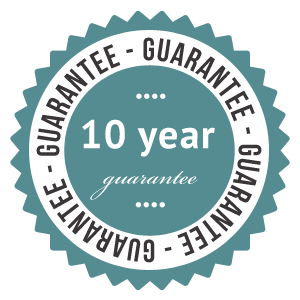 Of course the spectrum of blues available to us are endless, as we are able to match any paint swatches from Farrow & Ball, RAL, Dulux and others. We’ve just made the choice even harder. Sorry about that! 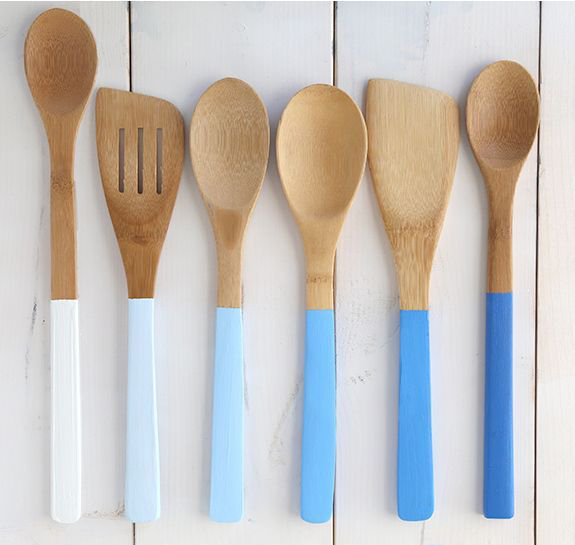 If nothing else, having a shot of colour , in your kitchen does give you a great reason to get creative and make this very cute set of wooden spoons to match. I hope my first post has provided some of you with some inspiration. As always if you have any questions or comments then please get in touch.